Much has changed in the Czech brewing world since the end of communism. Brewery closures, new technology and foreign takeovers have transformed the industry. Not all of these changes have been for the better. This page attempts to describe the current structure of the Czech brewing industry, its beer styles and how they developed. In 1988 many Czech breweries were almost unchanged from the 1930's. While productivity may have been low, there was no argument about the quality of the beers brewed. Open fermenters, long lagering times and absence of pasteurisation produced distinctive and flavoursome beers. No other country came even vaguely close to the general high standard of Czech lager. It was impossible to find bad beer. The larger regional breweries - Staropramen, Gambrinus, Velké Popovice and, of course, Pilsner Urquell - had national distribution. Even in a town like Prague, where there were several large local breweries, there was a good choice of beer from the whole of Czechoslovakia. Though not as well known as those from Pilsen and Ceské Budejovice, the Prague beers were of just as high a standard until a few years ago. Unhappily, this is no longer the case and the ubiquitous Staropramen 10% and 12% pale lagers are rapidly approaching the (low) standard of 'international' pils beers brewed the world over. The traditional Prague style, as in Munich, is a dark lager and thankfully, after many years of being difficult to find, it seems to have become more available of late. It resisted the switch from top-fermenting longer than other Czech styles and only changed to using bottom-fermenting yeast at the end of the 1800's. The best example is undoubtedly that of U Fleku, a beer along the same lines as a Franconian dark kellerbier. The second best of this style, Braník 12% cerné, which for many years was the only other to be found in any of the city centre pubs, has been discontinued. A move which demonstrated Bass's level of commitment to Prague's brewing traditions. The pubs which used to sell it (and which in some cases still have signs outside advertising it) now have the much-inferior Mestan 11% dark. The idiotic way the Czech brewing industry was privatised, when the regional groupings of the communist era were sold off in job lots, meant all the local breweries gained a single private owner. 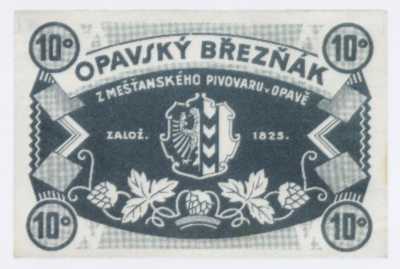 In Prague the three large breweries - Staropramen, Braník and Mestan - were in a single group, Prazské Pivovary, and had the same owner. In November 1996, when they increased their shareholding to 51%, that owner was the British firm Bass. When Bass decided to get out of brewing, the breweries passed to the Belgian multinational Interbrew. Interbrew isn't the only international vulture to have descended on the carcass of the communist brewing industry. SABMiller - worryingly for anyone who cares about beer - grabbed almost half of the Czech market when Nomura got bored of playing brewer. They've shown their respect for Pilsner Urquell's uniques tradition by brewing it under licence in plants they control in other countries, such as Poland. Heineken, through its ownership of the Austrian group BBAG, now has a toehold in the Czech Republic. I can't imagine that it will be content with its current market share of less than 5%. That just isn't the way globalists operate. Most of the country's breweries have been hypnotised by all those shiny new conical fermenters and stainless steel lagering tanks. It's as if there's a race on to see how quickly they can destroy hundreds of years of tradition. At the current rate of destruction, they should be just about finished in 5 years time. A few smaller companies are showing more respect, but these are usually small and only available locally. Herold and Regent are two of those sticking with the old techniques and whose beers have a wider distribution. On a more positive note, many individuals have taken advantage of the new economic climate and set up microbreweries and brewpubs. These now make up over 40% of all the breweries in the Czech Republic. Though in terms of market share they are of negligible importance. At present, the Czech domestic beer market is dominated by SABMiller, who have a share of over 40%. I expect Heineken and Interbrew to increase their cut, either through further acquisitions ofr aggressive marketing. The future looks bleak for many of the smaller, regional breweries who lack the finances to secure outlets or advertise. The five largest brewing groups account for around 75% of beer production. Since the mid-1990's most regional breweries have seen their output fall - sometimes quite dramatically. Many medium-sized breweries are operating at less than 50% of their capacity. At the time of the change in the political system in 1989 there were 71 breweries in the Czech Republic. Of these, 20 have since closed. So far, the opening of new brewpubs and microbreweries has more than offset the closures, at least in terms of total numbers. The net number of breweries has been increasing by around 1.5 per year over the last 10 years. SABMiller 3 Owns Pilsner Urquell, Velké Popovice, Radegast. All are in the the top five largest breweries in the Czech Republic. Heineken 2 Owns Starobrno and Hostan (through BBAG). PMS a.s. Přerov 3 Owns the Holba, Litovel and Zubr breweries. Drinks Union 4 Owns breweries in Velké Březno, Krásné Březno, Louny and Kutna Hora. Independents 32 Many of the smaller independents are struggling to compete with the large internationally-owned breweries. I expect more to close. Microbreweries 12 Brewpubs have been more popular than stand-alone micros. Brewpubs 28 The first brewpubs started to appear in the 1990's. Apart from U Fleků, of course, which has been around since the 15th century. An organisation founded before WW II. Represents the longer-established and larger breweries. Founded in 1993 to represent the interests of smaller breweries. Has around 24 members. Chrám chmele a piva "Cathedral of Beer and Hops" an organisation deicated to the hops and beer of Zatec (Saaz). Czech Beer Tours Let Libor Vojácek guide you around some of the Czech Republic´s smaller and more interesting breweries. Bohemia is world-famous for its pale lagers, yet these beers to not dominate the local beer landscape as much as one might imagine. A surprisingly large number of dark and amber lagers are brewed, too. It should be remembered that the terms "Pilsener" and "Budweiser" are used as terms of geographical origin in the Czech Republic, not to designate a style or a brand. A tradition of brewing bottom-fermenting porters, similar to those made in Poland, has almost died out, though a couple of such beers still survive. Before I tell you about Czech beer styles today, let's take a journey into the past. I think it will prove most instructive. There is a fascinating chapter in "American Handy Book of Brewing , Malting and Auxiliary Trades" (Wahl & Henius, Chicago 1902) on Thick Mash Beers in Germany and Austria (P.780-792). It's the best explanation I've read of early lager styles. It's pretty precise about the specifications of the beers, even down to the hopping rates. As the book is designed as a practical manual for berwers, it must bear at least some resemblance to reality. Lagerbier 12.5° 420, 460, 500 g not kräusened, i.e. racked bright. Stored three to four months. Bunged 4 weeks and more., so I guess high in CO2. Export 13.5° 450, 480, 550 g not kräusened. Stored minimum three to four months. Bunged 4 weeks and more. C02 content 0.32-0.39% Between Bavarian and Bohemian in taste. I suppose bittersweet. Bavarian beer: pale brown Munich beer and dark brown Kulmbacher beer. Winter Bier 10.5-11.5° (4.25% alc. vol) Stored 4 weeks, bunged 6 to 8 days "It has palate-fulness, a sweet taste and malt flavor." Beer was bunged to increase the amount of dissolved CO2 to that desired. It usually ocurred immediately before the beer was due to be sold. The darker beers were not - as is often the case today - brewed from a grist of pilsner malt plus a small amount of highly-coloured malt. Vienna beers were brewed from 100% vienna malt, Munich beers from 100% dark Münchner malt. The Bohemian beers were - surprise, surprise - made from 100% pilsner malt. The principal differences between the types in terms of colour and degree of attenuation derived from the characteristics of the different kinds of malt. Beer Brewery Date sampled Balling Wort Balling Beer app.deg. atten. alc. wt. alc. vol. A tantalising - that because I only have an analysis of 1 Budweis beer - difference is shown between the Pilsen beers the drier one from Budweis. It's a distinction that is just as true today. The start and end gravity are given in degrees Plato. * "Leitfaden für den Brauer und Mälzer" Rudolf Dickscheit, Leipzig 1953, p.82. You're probably wondering (if you haven't already packed up and gone home) why I have bothered you with all this historical gumph. Because without this knowledge, modern Czech beer styles won't make a great deal of sense. Unless - as may well be the case - you're brighter than me. Stumbling across a pre-WW II Czech beer label prompted a rethink. A very simple label, printed in orangey-brown. In the centre "14%" and underneath "Märzen". Of course - Czech 14% amber beers were in the Märzen style! On closer inspection, 13% pale lagers are in the Spezial style; suddenly these Bohemian beers were fitting in very nicely with the lagers from Bavaria, Austria and Switzerland. It's like a physicist stumbling upon an unified field theory - suddenly the whole universe can be described in one sentence. Or perhaps a 19th century chemist filling in the grid of the periodic table. Which is exactly what I'll do now. I won't insult your intelligence - you can see that far more of the Czech boxes are occupied. Vienna lagers aren't dead: they've just moved over the border. No country produces such a range of amber (polotmavé pivo) and dark lagers (tmavé pivo) as the Czech Republic. I can't quite understand why no-one has twigged this yet. You can read more about the History and Brewing methods of Pilsner Urquell here. The overwhelming of majority of beer brewed in the Czech Republic is bottom-fermenting. Uniquely amongst traditional lager countries, 10 degree beer (OG 1040; 3.5-4% alc.vol.) is the biggest seller. Some brewpubs make unfiltered versions of the classic Czech styles. Světlé Výčepní Pivo 3-4% (8-10° Plato) Pale, low-strength lager. In German the name translates as "Helles Schankbier". Usually highly-attenuated and fairly hoppy. Not lagered for any great time, such beers are sold 3-4 weeks after mashing. The most popular style of beer in the Czech Republic. Polomavé Výčepní Pivo 3-4% (8-10° Plato) Amber, low-gravity lager. Some breweries call it Řizek or "cut", meaning a mix of pale and dark. A type of beer which is virtually unknown outside the Czech Republic. Tmavé (Černé) Výčepní Pivo 3-4% (8-10° Plato) Dark, low-gravity lager - "Dunkles Schankbier". Can be either sweet and malty or quite dry, with an amount of malt bitterness. Pretty much exclusively a Czech style. Světlý Ležák 4.4 - 5% (11-12.5° Plato) The classic Czech pale lager style. The name means the same as "Helles Lagerbier" in German. Individual beers vary greatly, from sweetish and malty (like Pilsner Urquell) to dry and hoppy (Budvar). One thing they all have in common is being heavily hopped with good quality aroma hops (such as Saaz). Beers in this style should be lagered for 2-3 months before sale. Polotmavý ležák 4.4 - 5% (11-12° Plato) An amber lager, roughly in the Vienna style. Full-bodied, malty and with those lovely Czech hops much in evidence. Tmavý (Černý) Ležák 4.4 - 5% (11-12° Plato) A term that covers a wide range of darker lagers, that vary in colour from pale brown to jet black. The name translates as "Dunkles Lagerbier" in German. They vary in taste from sweeter than a Münchner to quite dry. The Czech Republic is very unusual in that pale lagers preceeded dark ones. Czech dark beers remained top-fermenting until the 1890's. Beers in this style should be lagered for 2-3 months before sale. Světlé Speciální Pivo 5.3 - 5.8% (13-14° Plato) A heavily-hopped pale lager. Approximates to a South German "Helles Export" or "Spezial" - a full-bodied beer with a good dose of quality aroma hops. Polotmavé Speciální Pivo 5.3 - 6% (13-14° Plato) An amber lager, roughly in the Märzen style (some breweries still use that term, or at least the Czech translation "Březnové pivo"). Full-bodied, malty and with those lovely Czech hops much in evidence. Tmavé (Černé) Speciální Pivo 5.3 - 5.8% (13-14° Plato) Strong dark lagers, which don't have many equivalents elsewhere. 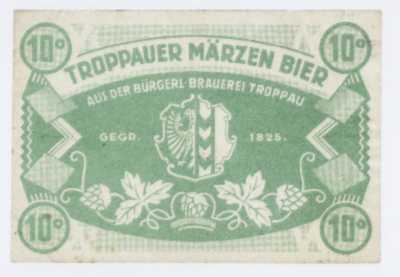 A Dunkles Märzen or Dunkles Export, related to Franconian beers of this name. A style usually only attempted by full-on artisan lager brewers. Full-bodied, malty and sometimes quite bitter. The U Fleků Ležák is a beautiful example of this style. Světlé Speciální Pivo 6 - 7% (15-17° Plato) Roughly equivalent to a pale bock - powerful and bittersweet. Polotmavé Speciální Pivo 6 - 7% (15-17° Plato) Amber bock - malty and bittersweet. Some beers are even called Kozlík - the Czech for "small goat" or "kid". Tmavé (Černé) Speciální Pivo 6 - 7% (15-17° Plato) Dark bock - big, chewy lagers. Světlé Speciální Pivo 8 - 9% (18-21° Plato) Pale doppelbock - powerful, malty lagers. Polotmavé Speciální Pivo 8 - 9% (18-21° Plato) Amber doppelbock. Another amber style rarely seen outside the Czech Republic. Tmavé (Černé) Speciální Pivo 8 - 10% (18-24° Plato) Dark doppelbock. Includes the strongest Czech lagers. Porter 8 - 9% (19-20° Plato) Black lagers. Very full-bodied beers, with lots of dark malt flavours and a good dose of bitterness. Pre- WW II, the standard top-end beer of Czech breweries. Getting rare. There are a few examples of Bavarian-style wheat beers, which have been introduced in the last 10 years by some smaller breweries. It's really a re-introduction of the style, which supposedly originated in Bohemia before jumping across the border to Bavaria in the 17th century. That aside, the commercial Czech breweries are effectively 100% bottom-fermenting. Pšeničné pivo 5 - 5.5% (12 - 13° Plato) Top-fermenting wheat beer in the Bavarian style. The unfiltered version is called "kvasnicové" ("kvas" - like the name of the Russian beer - means "yeast" in Czech). Only pale varieties appear to be brewed in the Czech republic. Lightly-hopped, high in carbonation, and with a characteristic spiciness derived from the special yeast culture. Altbier 4.2 - 5.3% (10 - 12° Plato) A copper to pale brown coloured beer, which is fairly dry and hoppy. Others varies Some micros and brewpubs brew beers in British styles, such as Bitter, Stout or Porter. Others try their hand at Belgian styles like Witbier or strong ale. 1995 - Economics Department, German Brewers' Assocition.